Make 10Gb Ethernet connections with PoE support. 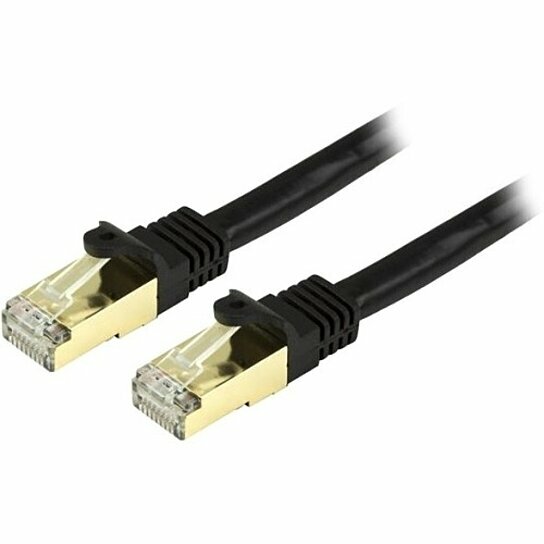 This 7-foot Cat6a cable meets or exceeds all Category 6a cable specifications to ensure reliable 10Gb network connections. The cable is shielded to protect your network against electromagnetic interference (EMI/RFI) and system noise, providing the perfect solution for fast and safe network connections. The C6ASPAT7BK is backed by StarTech.com's lifetime warranty for guaranteed reliability.